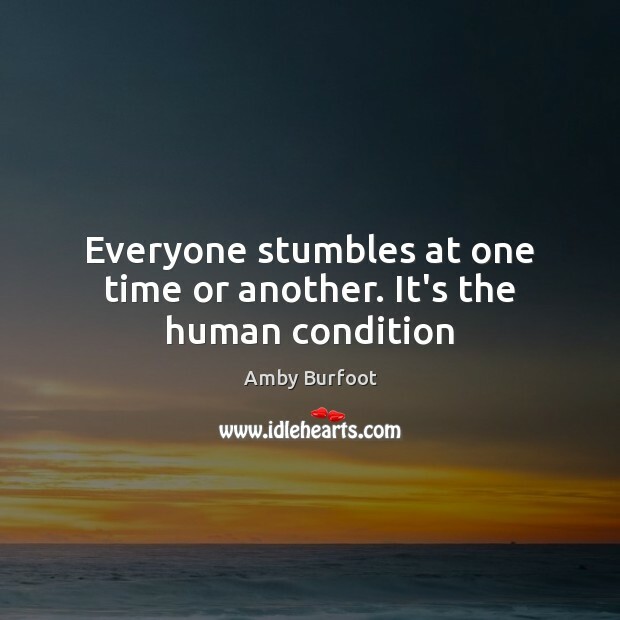 Enjoy the best inspirational, motivational, positive, funny and famous quotes by Amby Burfoot. Use words and picture quotations to push forward and inspire you keep going in life! 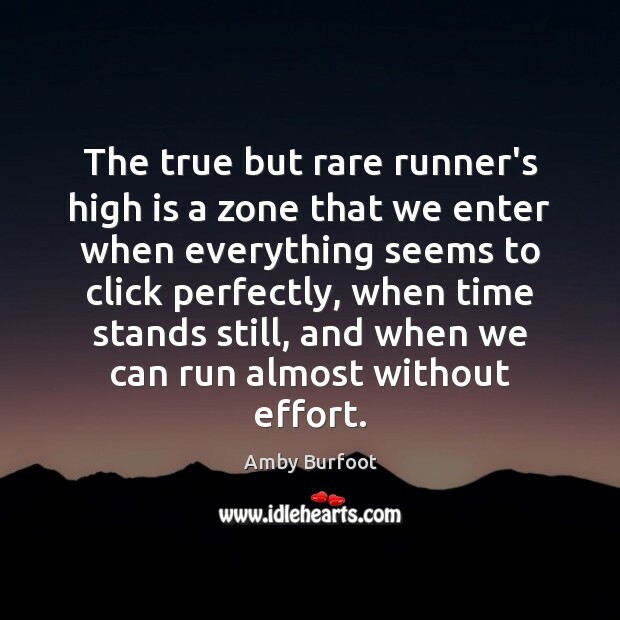 The true but rare runner's high is a zone that we enter when everything seems to click perfectly, when time stands still, and when we can run almost without effort. 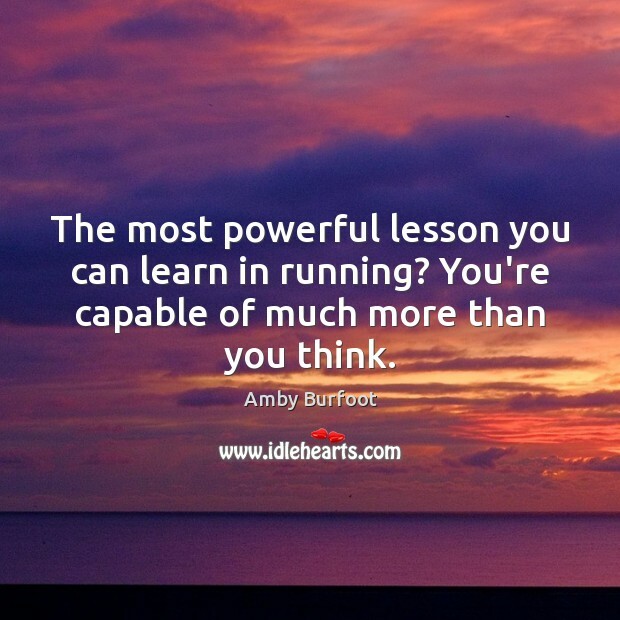 The most powerful lesson you can learn in running? You're capable of much more than you think. 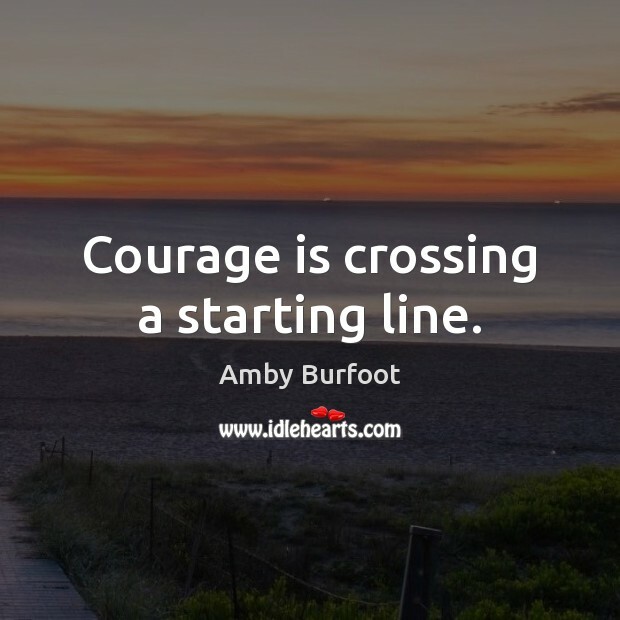 Courage is crossing a starting line. Winning is not about headlines and hardware [medals]. It's only about attitude. 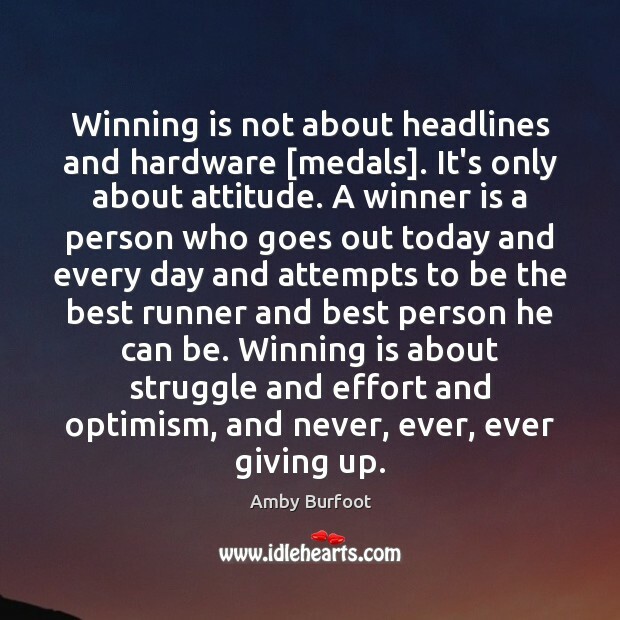 A winner is a person who goes out today and every day and attempts to be the best runner and best person he can be. Winning is about struggle and effort and optimism, and never, ever, ever giving up. 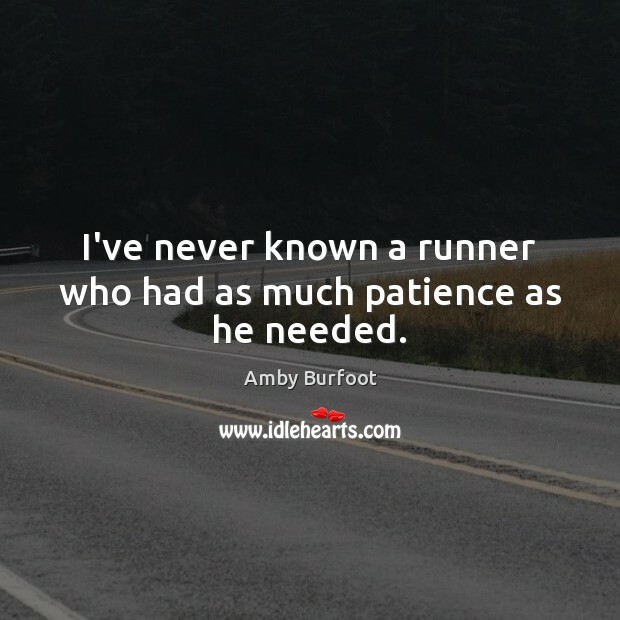 I've never known a runner who had as much patience as he needed. 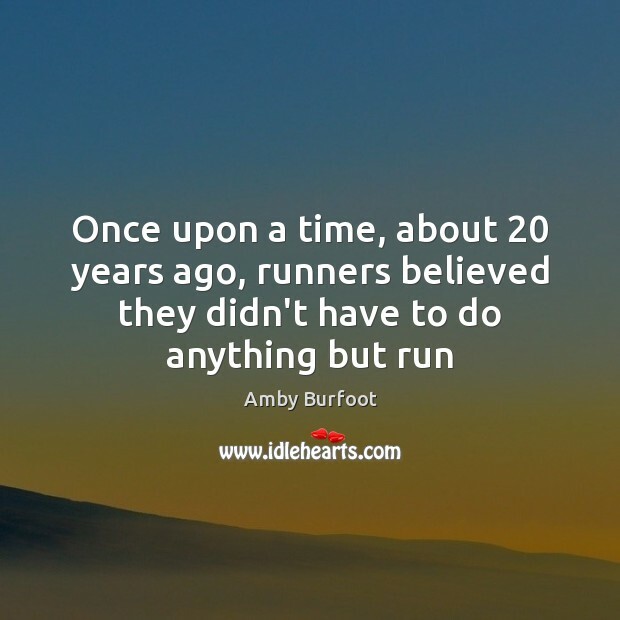 Why run? I run because I am an animal. 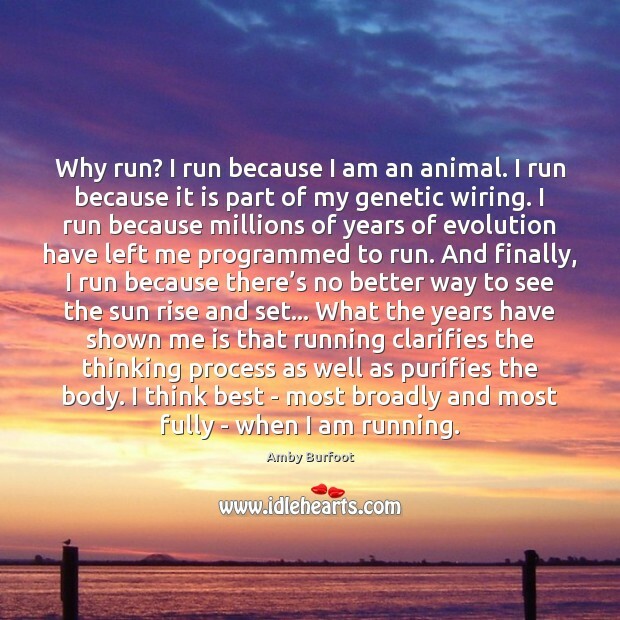 I run because it is part of my genetic wiring. I run because millions of years of evolution have left me programmed to run. 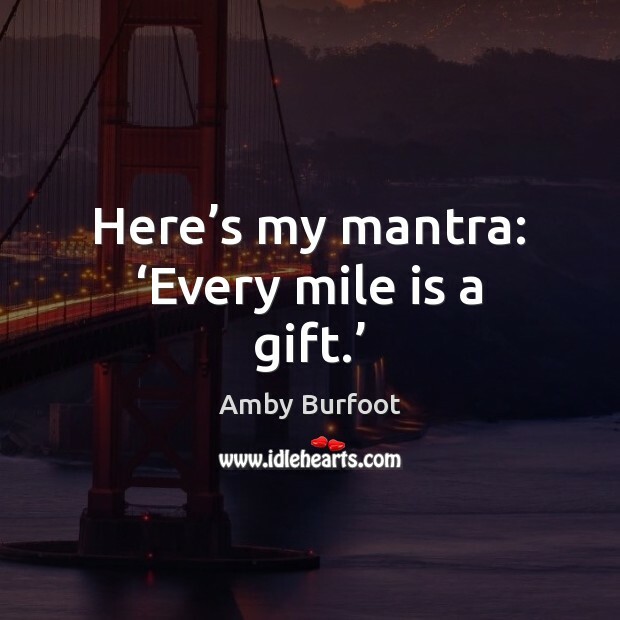 And finally, I run because there’s no better way to see the sun rise and set... What the years have shown me is that running clarifies the thinking process as well as purifies the body. 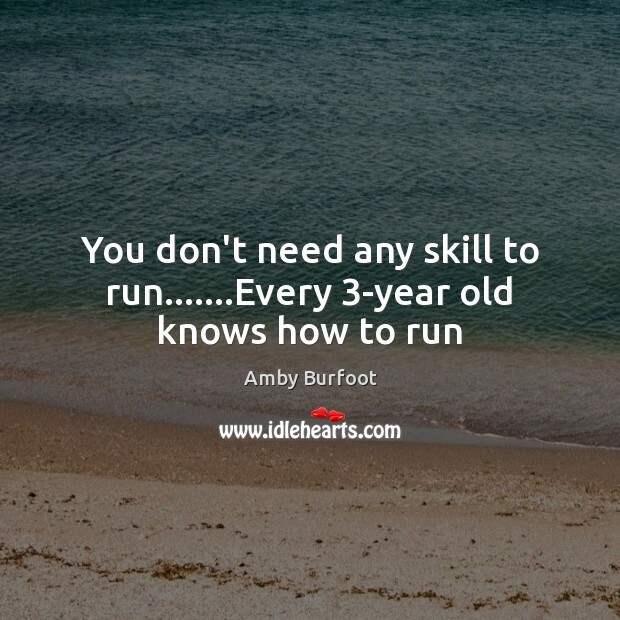 I think best - most broadly and most fully - when I am running. 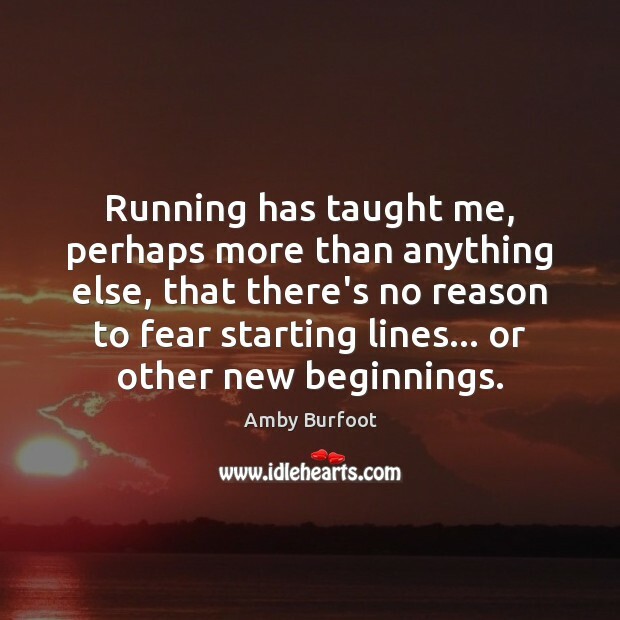 Running has taught me, perhaps more than anything else, that there's no reason to fear starting lines... or other new beginnings. 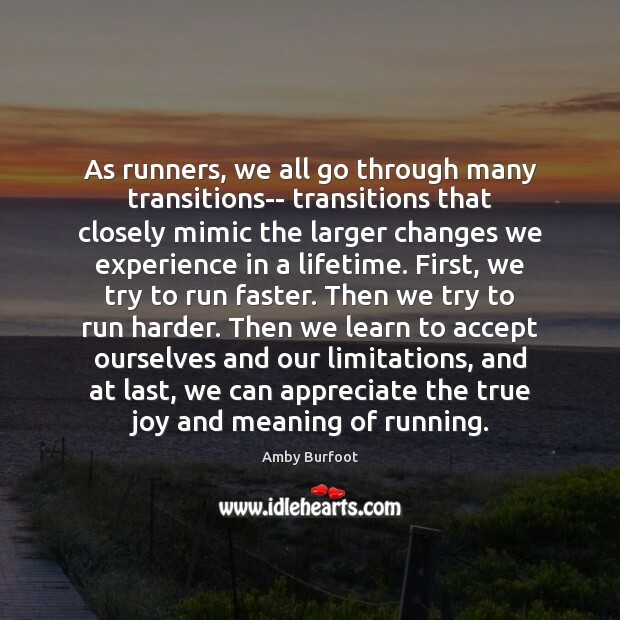 As runners, we all go through many transitions-- transitions that closely mimic the larger changes we experience in a lifetime. First, we try to run faster. 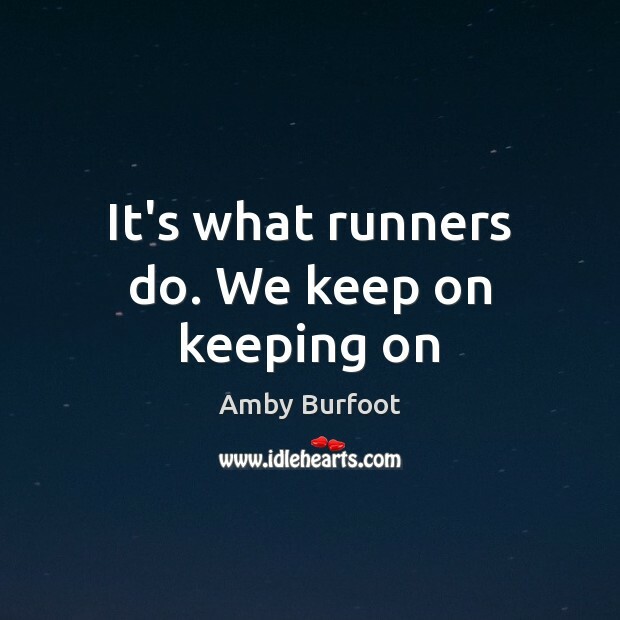 Then we try to run harder. 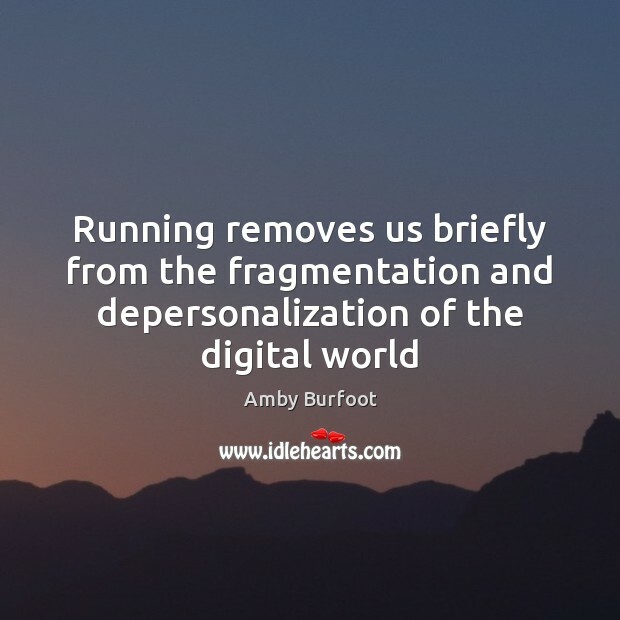 Then we learn to accept ourselves and our limitations, and at last, we can appreciate the true joy and meaning of running. 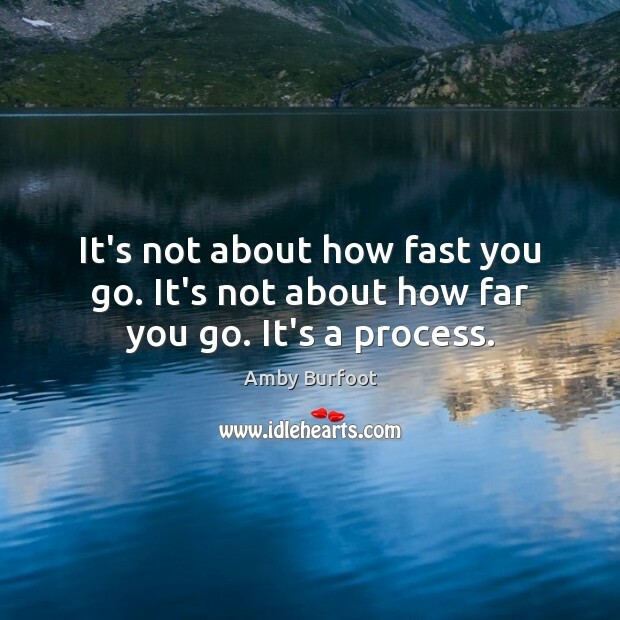 It's not about how fast you go. It's not about how far you go. It's a process. 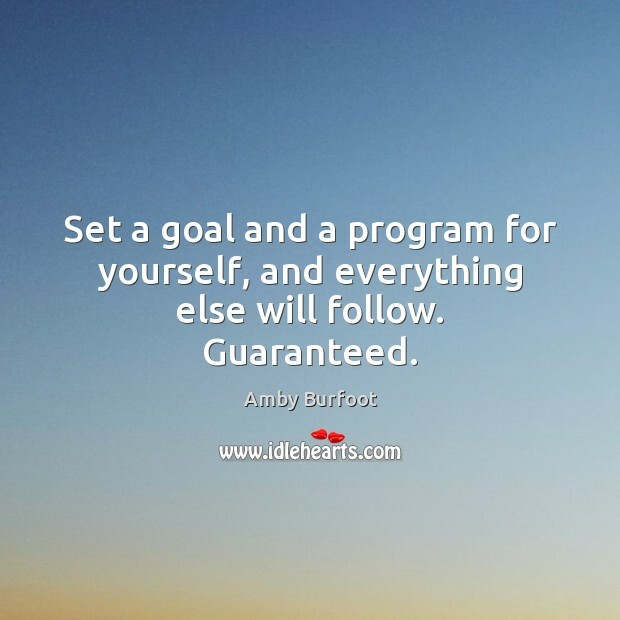 Set a goal and a program for yourself, and everything else will follow. Guaranteed. 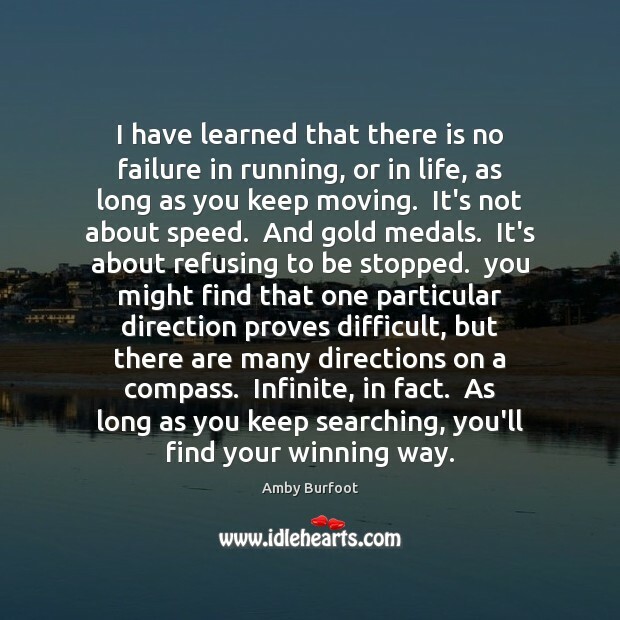 I have learned that there is no failure in running, or in life, as long as you keep moving. It's not about speed. And gold medals. It's about refusing to be stopped. you might find that one particular direction proves difficult, but there are many directions on a compass. Infinite, in fact. As long as you keep searching, you'll find your winning way.